How much can you think about the world’s problems? What can I do? I’ve been asking myself that question since I was a teenager. I don’t know exactly. We try in small ways and it seems to make no dents. We go back to our lives. So the day before yesterday, I sent out my autumn newsletter (sign up here if you’re not on the list), and I mentioned that I will be blogging on this blog, Carol’s Bloggie, instead of both the Shrapnel site and here. It was too much work to write content for both. And it’s just silly. I have too much stuff to do. I’ll also be making some slight updates to the look of this blog, so bear with me during the transition. The book has been coming along well, finally some progress since I got a professional proofreader on the case. Because of that, I now have everything else on a schedule, more or less, right up to the book launch. That makes me feel better. What can I say, I guess I will always be a kind of control freak. I don’t know if it’s so much being a control freak as I need to have certain things in my life under control so I don’t feel overwhelmed — like chaos is flying all around me. I sort of grew up in chaos, with household items being thrown about every which way. I was always putting things back in their place, so they were just so. Probably to feel some sense of control. I do like controlled chaos though. In art I mean. I think of Cy Twombly who’s a big influence on my work. He came up, or should I say, comes up a lot, in one of the art forums I participate in. Many people do not think he’s even an artist. This above painting, Lida and the Swan, 1962, was quite small for him at a little over 6 x 6 feet. Many of his painting are massive, which make these scribbled marks look like primitive works of a giant child. Much of it is sgraffito-ed into the surface, like scratching into soft clay. I personally love them. 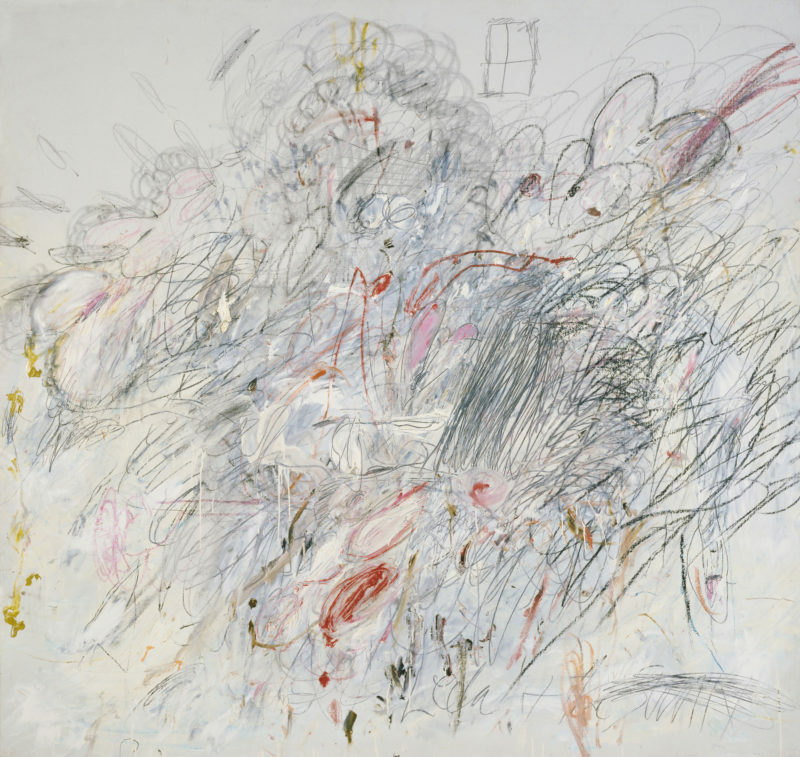 This one is in the collection at MOMA, but there is a whole Twombly building dedicated to his work at the Menil Collection in Houston that made me giddy when I saw it with my own eyes. I’ve been incredibly unpopular for defending, or rather, simply being an admirer of Cy Twombly. I don’t get why it’s okay for Jackson Pollock to be accepted into the cool school, but Twombly be vehemently dismissed as rubbish. I’d like to know, and not by people that are against all forms of abstract art, but from those that accept it and still think Twombly isn’t an artist of any merit. I’d like to see you duplicate the work. There are textures and marks that are not so easy to forge. Sure, maybe it would be easier to do than the Mona Lisa. But so what? Is art really a contest of difficulty? Snobs can’t pick and choose as to what is and what isn’t art. It’s all an art umbrella with lots of opinions attached. It’s art that some people like and others do not. Some people hate certain types so much that they won’t even call it art, even though it is art whether they like it or not. It’s in the galleries, it’s in the auction houses, it’s being exhibited, admired, bought, and sold as art. So hating it and denying it isn’t going to control what it already is. I don’t like all art. I dislike what I consider really BAD art. I won’t deny that it’s art though, or that it is an attempt at art by an artist. If it’s a really bad painting (in my opinion), I know it wasn’t an attempt at spaghetti, or a football or something. It was an attempt to be art. Maybe it looks like garbage, and some art is literally made out of garbage, but it was made by a person intending to communicate as an artist. That’s even if they laid a bunch of bricks from the street in the middle of the gallery and called it “art.” Perhaps we can all call it what it is: bricks on the floor. Or, “brilliant!” Why though? Why would, or could it be brilliant? Because the artist tricked you? Because the artist is expressing how global warming has taken out the human race? Perhaps he just wants people to have a dialog about why there are bricks on the floor. Maybe he wants people to get pissed off that this has to be accepted as art and that some sucker just might buy it for thousands of dollars. Sometimes I hear some pretty terrible music that goes into my earholes, it’s so bad, I’d much rather look at a pile of bricks any day. I can say, “That’s not music!” But I know that’s what they were attempting. It’s not not music because I think it’s terrible. 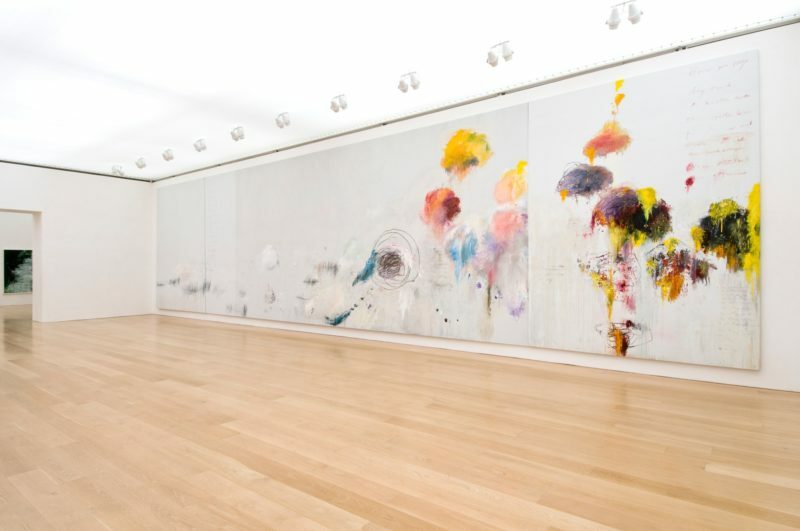 Twombly could be considered decor, and not “fine art” to some. Now we are splitting hairs. Because how much realism is illustration, or commercial? What abstract art is purely abstraction and which falls into decoration? And what about craft? Once a thing becomes functional, it is no longer “art.” Some would argue that too. All in all, if something grabs a viewer as thoroughly aesthetic, or moves them in some way, what does it matter? The effect of “artist” has done its job. I don’t want to go to other people’s houses and see the same exact painting hanging over everybody’s couches, even if they have the worst taste ever. All right. Time for Thanksgiving leftovers. Your discussion of what does or does not constitute art is most interesting. It brings back memories of years ago when I was an undergraduate taking music appreciation (back when faculty were not to be questioned and all students were considered idiots). During one class period, near the end of the semester, we were introduced to a special piece that was the sound of glass breaking from a brick being thrown through it various times. I made the mistake of asking “how does this fit the definition of music that you gave us at the beginning of the course?” His response was, in a very condescending tone, “and just what was that definition Mr. (name not given to protect me). “A meaningful succession of musical tones” was my response…the exact definition he had made us memorize and I was just asking how a brick thrown through a piece of glass could be 1) musical tones, and 2) a meaningful succession of those. He threw a hissy fit in front of the class and I received a grade of “C” for the semester although my grades were higher than that on all the tests. Clearly music and art are in the ear and the eye of the beholder but in defference to your discussion, it seems there should be some rules that can help us decide why something that is recognized as “good” receives that designation and the same should hold true for art or music recognized as “not good” or perhaps “crap”. Thanks for listening and for asking good questions. Thanks for your response David. I appreciate having this dialogue. You bring up a good point, which is part of the whole debate; should there be rules on what is “good” or “bad?” If so, who sets these rules? And isn’t art (in a general sense) about breaking rules, pushing toward new horizons, and taking those risks in ways where viewers/reader/listeners can experience something they wouldn’t otherwise in their lives without art? Should culture stay stagnant or should we evolve and try out new things? Some people might hate the new things, and some people might love them, or feel indifferent. Those are the risks and effects of any action in art or with anything (action=reaction). It’s a lot like judging what is moral and ethical against what isn’t. There are only rules because we have laws, but in truth, we all just have our own moral compasses. The laws were voted in by the common denominator/majority or judges/lawyers. In art, it’s usually academia and the auction houses, and it predominately a monetary issue more than it is an aesthetic one, or that of impact, or even an anti-aesthetic message (political or otherwise). It’s mostly “valued” on money. There are perimeters in what you can do I suppose in making sounds for music, and making tangible art vs conceptual, but that would probably just fall into categorization, not whether or not it is or isn’t being accepted as art (or music). Kraftwork, work instance, makes plenty of music with glass breaking, lawnmowers running, and bowling balls dropping (or however they glean their samples). Andy Warhol was questioned for re-appropriating commercial products too. When people first looked at a Mondrian they probably didn’t know what to make of it. But all of these things are evolutions of what came before. It’s like a dialogue. Those famous Mondrians are kind of like a callback to cubism. And so it goes. Every rock band is a growth of Elvis, the Beatles, Hank Williams, Guthrie, etc. No apology necessary. When I said some rule to go by I misspoke. For some things there are protocols and we use them every day without thinking, however, your points about music and art (in particular) are well taken. I agree with you that no rule or protocol can define good art or music and I believe that both art and music are a means of communication. Sometimes the message is obvious and sometimes it is different for everyone. I do think that we are often to quick to either love something or hate something without asking ourselves what it is we love or hate about it. I will use myself as an example for both art and music. I am neither an artist nor a musician (I have a short story I will share with you about that after I finish this thought, assuming I am capable of finishiing it) and I love some music and I love some art. Can I tell you what I love about either? Maybe to an extent, but the words I would use would pale in comparison to how I really feel about the work because if I love it, it goes beyond what I can do with words. When I think about that, I am not so sure if we go in the opposite direction. It seems to me to be much easier to tell you why I hate a piece of art or music and much more difficult to tell you why I love it. Am I just weird? Here is the music story in short form. My mother went to the 8th grade and never had a music lesson but she could play either a banjo or a guitar quite well (by ear they used to call it) and my father went to the 5th grade, never had a music lesson, and he could play the banjo without ever having a lesson. I love banjo music and told myself that since music was in our family and I had a college degree, I could take lessons and learn to play the banjo. I took three lessons and at the end of the third lesson the instructor said “Mr. Underwood, as much as I need the money I can’t keep taking it from you. You will never learn to play the banjo.” I appreciated his honesty and I still have the banjo. Those who can, do. And those who can’t, appreciate those who do, even more. Thank you for doing. Ah! So that’s where you come from. 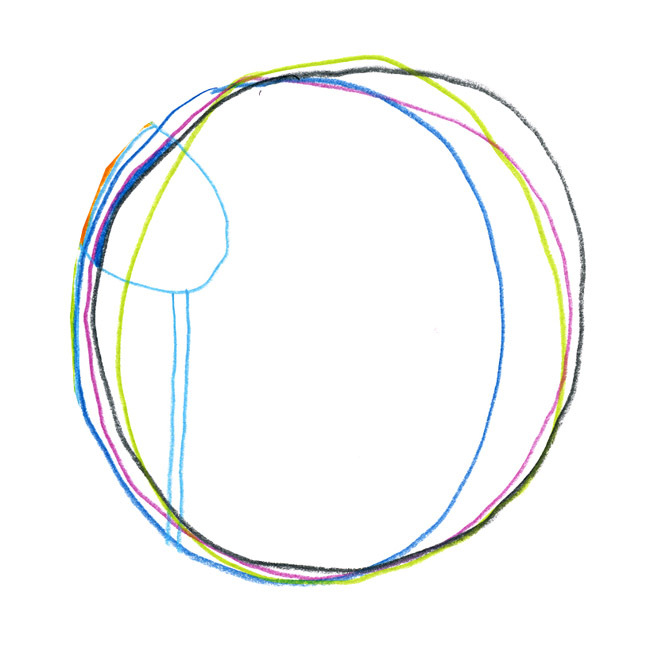 ello: my most favorite community that I never spend enough time on, and have no idea why! I get overwhelmed with how many channels there are. Still, I am trying to make ello my priority, even if it doesn’t seem so. I just want the fresh-est content there. Your story is interesting. My partner, mjp (mjpbooks.com) wrote an interesting foreword in one of my art books about either being born with talent or not. Basically, real art can’t be taught. A lot of people think that. I’m not so sure about the DNA thing though — just because your parents knew how to play the banjo didn’t mean you were destined to play one too. My parents were extremely different people than I turned out to be. I worried my whole life I’d be just like mom, and while of course I have many similarities, I’m basically nothing like her. Not at her core. She was a dancer and I knew how to boogie down, but I was no true dancer and it didn’t matter how many lessons she made me go to, it just wasn’t for me. I’d be mediocre at best, but probably not. After a couple of years of playing the drums, I found out that my dad used to play (no kidding that he kept it from me) and when I finally heard him play, he was terrible. Maybe your draw toward the arts/music is embedded, or they exposed you to it so you highly appreciate it.